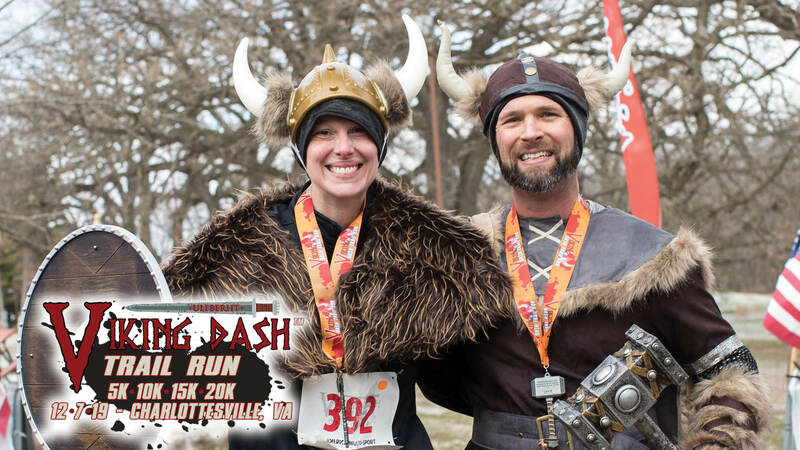 Viking Dash Trail Run: Charlottesville will be hosted at Walnut Creek Park, a local favorite venue, on December 7, 2019. This event was the first Viking Dash in the State of Virginia in 2018. Walnut Creek is a scenic Albemarle County Park with numerous trails and amenities. In addition to the running and biking trails the park features a beautiful lake, Ultimate Frisbee course, play areas for the kids, and open space. The trails are familiar to many and offer a fun, challenging experience to athletes of all levels with the park providing an ideal setting for spectators to be a part of the Viking Dash experience. Viking Dash Trail Run Nationals in Muncie, IN for the 5k, 10k, 15k or Half Marathon (20k will qualify you for the Half). **CLOSE PARKING is limited, please carpool or plan for a 1/2 mile walk to the start.